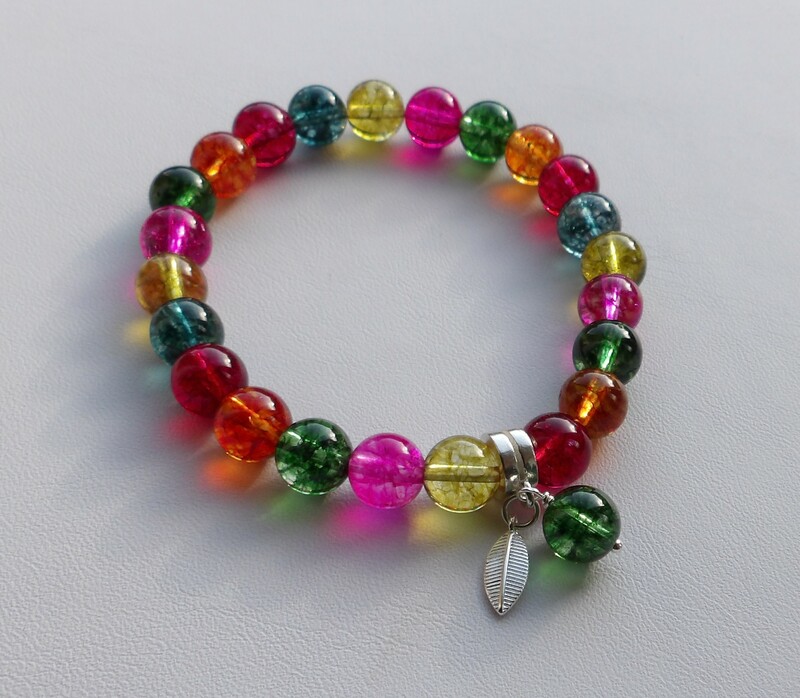 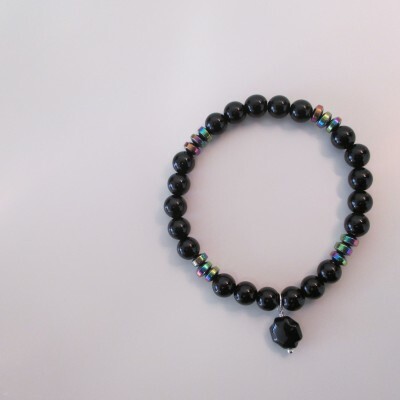 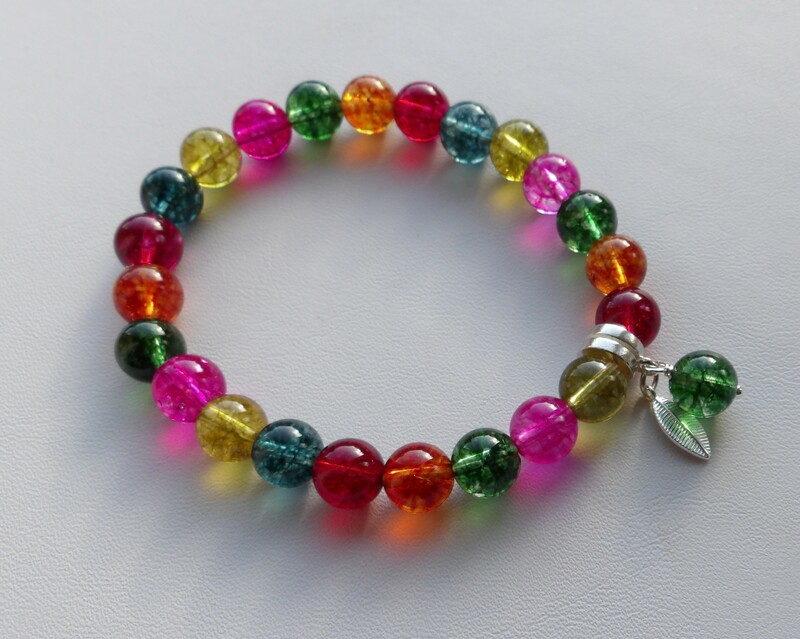 This bright and colourful bracelet is made with multicoloured (dyed) quartz. 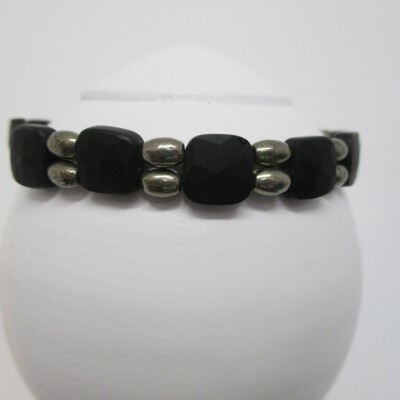 The 8mm rounds are thread on an elastic cord – and the knot is covered by a sterling silver charm bead. 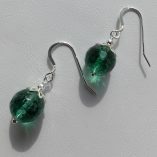 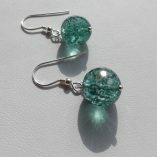 A green stone and a sterling silver charm (leaf/feather) is attached to the bead. 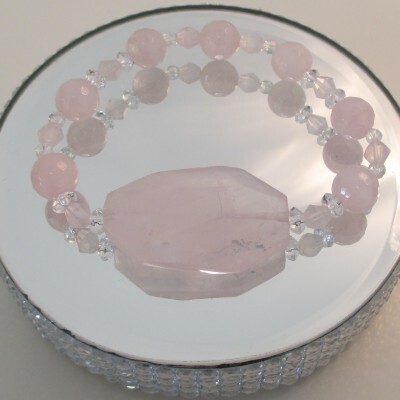 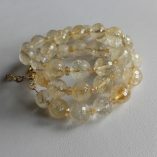 The bracelet measures 18.5 cms (7 1/4 inches).